There are many examples of Evolve's work, some are shown below, but we can't fit them all here, so contact us for more examples. Several of these designs were created prior to the rise of responsive design and the explosion of mobile technoloy. Additionally many have been redesigned by others or they moved to cheaper solutions like Square Space. 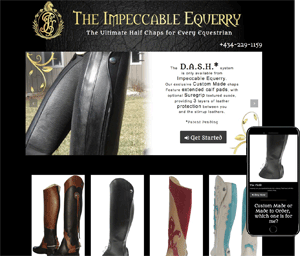 Impeccable Equerry was a startup near Grand Rapids, MI, specializing in custom leather chaps for Dressage and Western riders. They needed a brochure-ware website to start that was to become a full fledge ecommerce platform with custom fitting calculators. Unfortunately the project was put on hold prior to the commerce portion being built. The design for this site needed to be very minimalistic focusing on the product shots. The customer was very specific about the overall layout and design of this site. L2 Advisors could not accomplish a microsite with their existing platform. 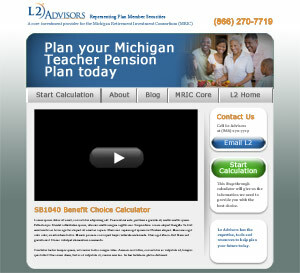 Evolve created a WordPress based microsite for a new product L2 developed for the teachers in the State of Michigan. True to the nature of a microsite, it went away after six months. This site needed to be custom designed, but utilize elements from their existing site's design. The requirement was that it be just different enough one knew they were in a different website, but similar enough to know that you were still with L2. The client saw a 600% increase in customers over the course of the run of this microsite. 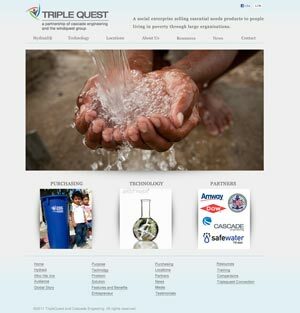 The Triple Quest company needed an updated site design with news & company information. They needed to update their site themselves, so requested a Drupal site. 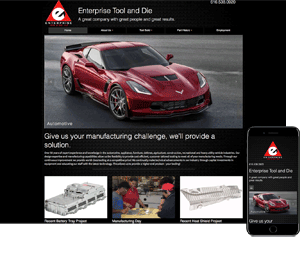 Evolve created a new custom template for their website & installed it in Drupal. Evolve is also assisting Triple Quest with Search Engine Optimization, as they're a new company & need to be found. 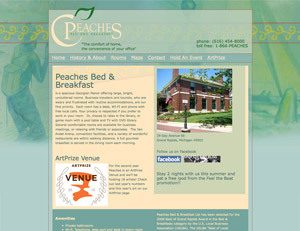 Peaches B&B is a beautiful old brick home in the Heritage Hill District of Gr& Rapids MI. The inside, outside & gardens are just gorgeous. However, their site was not. They also had trouble getting their content updated in a timely fashion, by their previous web designer. Evolve installed a new Content Management system & created a custom site design that reflected the beauty if the inn. A blog, various custom templates & image gallery were also installed for Peaches. Amway needed many new Blog designs for their Corporate Media Initiative & PR Campaign. Amway's effort to address its online critics required social media & thereby blogs. Evolve created several new designs & coded additional sites for this initiative. An Evolve asset worked on site with Amway developers through many projects including multiple eCommerce applications & various web sites. The sites shown to the right & below are current blog designs found on Amway's sites. There are more examples of Blogs worked on & designed for Amway by Evolve. In all better than 13 blogs were designed & created. It should be noted that Amway has turned off many of their blogs. Many of the blogs that remain at Opportunity Zone were worked on by Douglas Kelly of Evolve Solutions & several designs still exist. Disclaimer: We have attempted to make this site as browser friendly as humanly possible, however it's not going to look as great in Internet Explorer 6, as it's not a W3C-St&ards Compliant browser. Microsoft no longer supports IE6 & considers it a security issue that should be upgraded to IE8 as soon as possible. Google doesn't support IE6 any longer, consequently. There are other browsers that will load on your computer very easily like Mozilla's Firefox or Google's Chrome, which which are free downloads. Firefox will include all your IE bookmarks & settings. 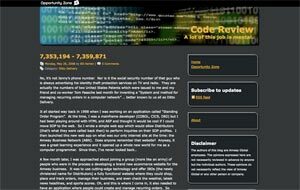 We have tested this site in IE6, 7 & 8, as well as Safari, Firefox 3.0 & 3.5. We cannot support IE5.5 or earlier on the Mac or PC. We do not support Netscape. We have not checked this site in Opera, but since it's the most standards compliant browser, this site should look the best there.